I will meet with your to go over the market, the current listings and what your home is worth in today's market, and provide you with an informative DVD on "Pricing your home to sell." I will advise you on preparing your home to sell, co-ordinate a complimentary home staging consultation with you and provide you with an informative DVD on "Preparing your home to sell." I will recommend resources to help so that your property shows at it's best & that will evidently benefit your sale (example painting company). I will put your home on the Multiple Listing Services (MLS), which is viewed by over 10,000 realtors with possible buyers for your home. I will have your home posted on the public MLS web site and my personal web site: www.KnowTheCode.ca, which is display advertised on my vehicle, our commercial moving van, bus benches & various for sale signs throughout the communities. I will have professional photographs taken & 360 degree VIRTUAL TOURS of your home and post them on MLS & www.KnowTheCode.ca web sites. I will have our marketing team prepare an over-sized listing feature sheet of your property for distribution. I will place a "for sale" sign on your property, advertising within your neighborhood. 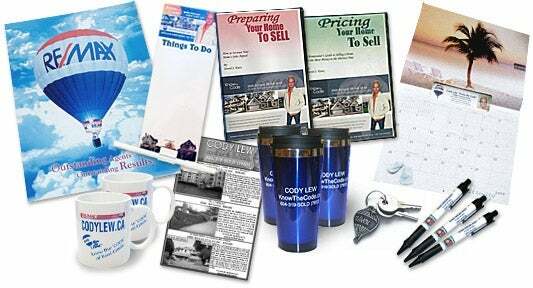 I will send out a sales flyer of your home to every realtor in my office. I will mail a sales flyer of your home to high potential Canada Post carrier routes (if applicable). I will promote open houses for your property to hundreds of realtors, potential buyers and through Canada Post carrier routes (if applicable). I will host public open houses for your property (if applicable). I will put your home on our office tour (if applicable). I will advertise in newspapers such as the Real Estate Weekly and the Langley Advance or Langley Times. I will promote the sale of your property within my office and to other real estate contacts. I will keep in regular contact with you to let you know how things are going and give you feedback on showings. When an offer is presented, I will represent you and to the best of my abilities negotiate for the best possible price and terms. I will do as much as I can to help sell your home and work hard continuously, throughout the entire process, to ensure that you receive the best possible service from everyone involved. I will be honest and straightforward with you. I will immediately advise you of events that may threaten closing. I will monitor the appraisal and buyer's loan approval. I will assist you with the legal requirements and refer you to the proper people to ensure you are taken care of. I will follow up with all closing details until the cheque is in your hands. I will continue to be of service to you until you are completely satisfied.